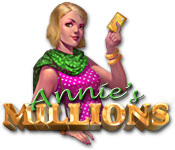 Annie's Millions is rated 2.0 out of 5 by 14. Rated 4 out of 5 by JulzCat from UNIQUE AND LOTS OF FUN Like most of the reviewers said, the game was too short, which is my only real complaint. Other than that, I enjoyed it! It was fun "shopping" at the stores. 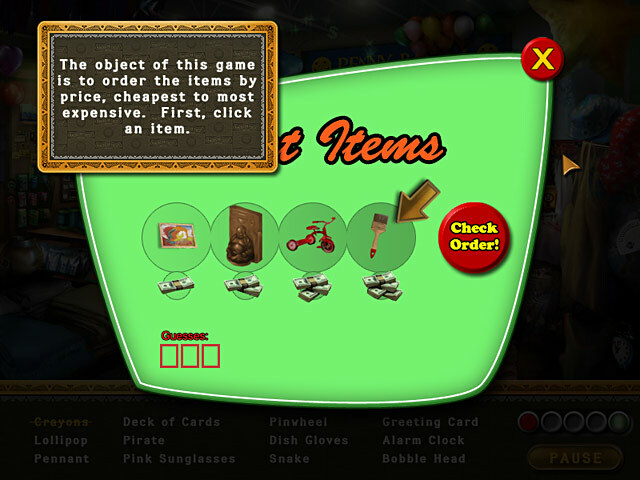 This is one of the few games with hidden objects that actually apply to the story (the sweet shop only had sweets, the art shop only had art supplies, etc.). Some of the items were tough to find, but you can earn hints with four different "Price Is Right" type games that I enjoyed playing. It's a cool game if you only have a couple of hours to spare. Rated 3 out of 5 by marriedgirl0429 from Game does not last long enough to purchase!! The game itself is really good. I played the 1 hour trial, but then I decided to purchase it. It didn't even go for more than 30-45 minutes after purchasing. Waste of money!! Play time trial and be done with it! Rated 3 out of 5 by warrencoy from It could have been fun..... 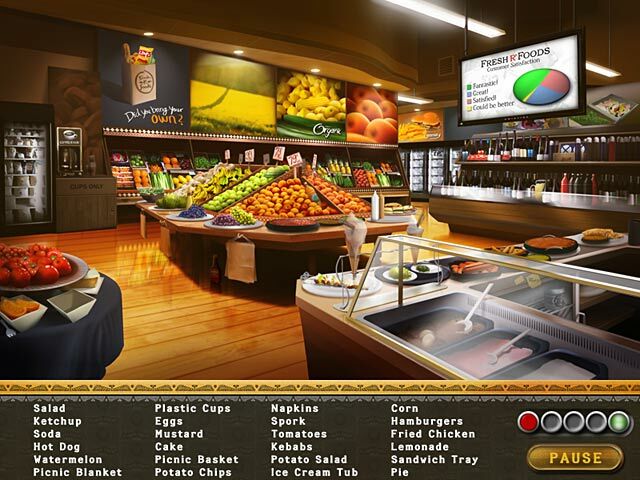 This could be a very enjoyable hidden object game if it was as long as the usual games.. Rated 2 out of 5 by chance7779 from Another game with items to small and hidden behind things and you just had to look for a color change. Or they were in an area so dark you could not see them. The games you play to earn hints at first were great but they used the same objects so after playing about 3 of the pricing games it was no longer a challenge. I loved the fact that they did not have a long story line and the annoying games that all the others have. However, even though they had a great idea for a hidden object game they just did not think it through and YES it was way too short. Rated 2 out of 5 by lbrandon114 from No Excitement I did not like that in the first few minutes of playing, there is a lot of talking between annie and her uncle. I thought the very first HOS, most of the items were small. Rated 2 out of 5 by Missudusty from Hidden Object Game To easy of a game play need a little more challange to it. Great for children. Rated 2 out of 5 by pennmom36 from Spending A Million Dollars Annie has been challenged by her Uncle Dave to spend one million dollars faster and wiser than her cousins. The problem with this game is the items to find are "hidden" in a distant area, no up close finds. You are expected to recognize and distinguish items that are so tiny that there's no way to tell what an item actually is. You have to play mini games to receive extra hints (you'll need them in this game!) There are 4 different games, Price Builders, Sort It, Price Match and Price Guess but to be perfectly honest none of them were very fun. This game is just okay in my opinion, a way to pass an hour or two. Rated 2 out of 5 by NannyPlays2 from I Wasn't Allowed to Choose The storyline for this game really got my attention. Try to spend $1M wisely and quickly. I thought I was going to have a great time choosing what to buy so imagine my disappointment when the "shopping" was finding obscure hidden objects in different stores that were selling items for the most part under $20! The items were difficult to see and hardly the type of things I would choose to buy e.g. Welder's Mask, Hair Dryer and a Hula Girl Doll for my car dash?!?! I was extremely disappointed in this game, the storyline is such an interesting one but the reality is just not what one would expect based on the description. Rated 2 out of 5 by ELMILLER2 from Waste of money I purchased this game after the free 1 hour trial, what I didnt realise was that I had virtually completed the game, it was a total waste of money, no where near enough levels. I was bitterly disappointed. 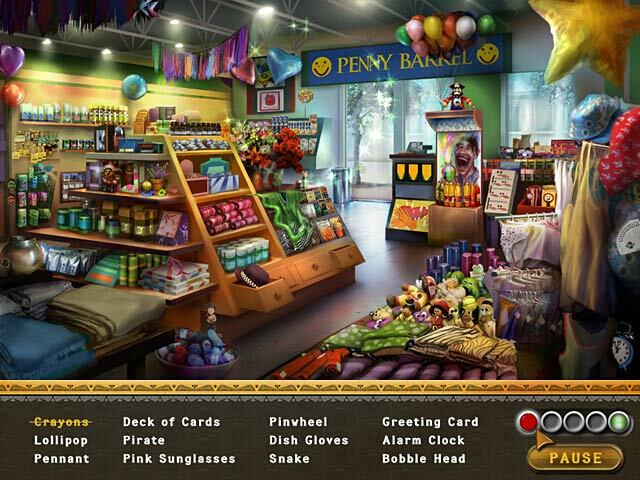 Go on a million dollar shopping spree in Annie's Millions, a Hidden Object challenge! Explore a wide range of shops and boutiques!